We all love chocolate, don’t we? So much so, that there’s a whole host of chocolate-y celebrations out there – National Chocolate Day, International Chocolate Day, days for different flavours chocolate… Forced to pick one date, I’ve decided to dedicate a post to this particular chocolate day – today, 4 September, we celebrate World Chocolate Day. Chocolate has long been associated with love and attraction, despite there being no conclusive proof as to its aphrodisiacal properties. It does, however, contain theobromide, which is both a stimulant and proven to assist in physical and mental relaxation, as well as tryptophan, a chemical used by the brain to produce serotonin, which stimulates endorphins, resulting in feelings of elation. Moreover it contains phenylethylamine, a neurotransmitter that helps promote feelings of excitement and giddiness. All together, that’s close enough to an aphrodisiac in my book. Looking at some of the latest chocolate-related science news that I’ve come across, however, the chocoholics among us may in future have less and less reason for celebration, as the future of chocolate looks ominously bleak. Firstly, it appears that worldwide chocolate consumption is exceeding production, which means that chocolate will increasingly become a luxury commodity, fetching higher and higher prices. Apparently cacao trees can only be grown naturally in a narrow band within 10 degrees around the equator, and more and more farmers in this band are turning to more lucrative alternative crops such as genetically modified maize, soybeans and palm oil. Geneticists are trying to develop better yielding cacao crops, but there are no guarantees yet that this will remedy the situation. If that is not enough, there is a fear that diseases may devastate what is left of the global cocoa supply. Fungal diseases such as witch’s broom and frosty pod have already destroyed most cacao crops in Central America, and the concern is that if these diseases spread to Africa, the majority of the global cocoa production may be at risk. Again, the best defense lies in bioscience – if scientists can succeed in sequencing the cacao tree genome, it will help them developing genetically modified plants that are resistant to infection. If you think the above challenges make the future of chocolate look a bit suspect, here’s the cherry on top – apparently, climate change may result in West Africa (the source of most of the world’s chocolate supply) becoming too hot to sustain cacao growing in the region. According to a report in Scientific American, it is estimated that by 2060, more than 50% of the West Afican cocoa-producing countries may be too hot to continue growing the crop, which will also contribute to chocolate prices spiraling out of control. The slack in the market may be picked up by regions that were previously too cool for growing cacao, but that would require these regions to switch from other crops that may be considered more lucrative. Thus there’s yet another challenge to the genetic scientists – developing a drought-resistant cacao tree capable of handling the effects of global warming. So, in a nutshell, to save chocolate from becoming an unaffordable luxury commodity, scientists are in a mad race to develop new, genetically modified strains of cacao tree that are higher yielding, infection resistant and able to withstand heat and drought. Sorry to leave you with such a depressing message on World Chocolate Day – I guess we can only hope that science will step up to the plate and save the day, enabling us to continue enjoying the wonderful product of the cacao tree for many years to come! You forgot to mention what a fantastic antioxidant chocolate it 🙂 Oh, I do love chocolate and I’m not looking forward to increased prices. Indeed, neither do I! Thanks for the comment. That is one of the saddest posts I have ever read. I think I will immediately begin digging a bunker in the backyard and stocking it with mountains of Cadbury. Maybe a chocolate shortage is going to be the apocaplypse? Forget zombies or nuclear winter, chocolate addicts denied their fix would make life not living for the entire population! Haigh’s Chocolate in Melbourne can be the ultimate prize…. peppermint frogs…. mmmmm…. 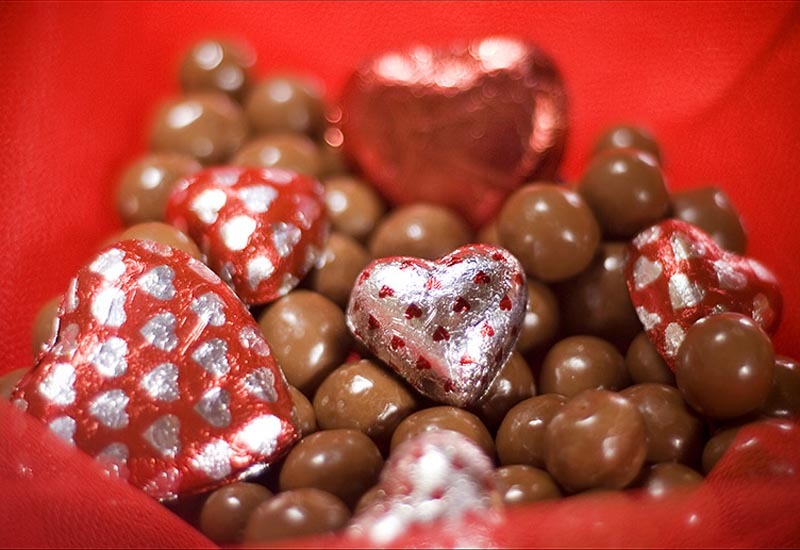 argylesock says… To me and to many others, every day is World Chocolate Day. Here in Britain we can choose Fairtrade chocolate. It’s delicious. But those cacao trees are at risk from diseases and climate change. What does the chocolate future hold? If I see any science about breeding to improve cacao (whether selective breedng or genetic modification), I’ll tell you about it. As per your website Chocolate day is on 4th September while on many other websites it is on 7th July & 11th July. Please can you confirm it, it is very confusing, I am a private tutor and some students asked me the same, I was puzzled. All these dates seem to be accepted for celebrating World Chocolate Day (according to different sites), so yes, it’s pretty confusing. But, in a way, it’s not all that important – every day is a good day for chocolate!